A Perfect Spot Dog Training became my passion in August 2000 with the aim to provide quality pet dog training and owner education. The emphasis is on using positive reinforcement to develop a strong and lasting relationship with our canine friends. The owner education component aims to educate owners and to give them a solid foundation of knowledge to assist in addressing their dog’s needs throughout its life. I am the owner of A Perfect Spot Dog Training and my name is Jennifer Pearce. I first became interested in dog training in 1983 when I took my cattle dog X bull terrier to Keilor Obedience Club. After a few weeks I was hooked and became an instructor. In 1999 I completed the Delta CGC Instructors course and was instrumental in changing Keilor Obedience into a positive reinforcement club. I have lived with many dogs over the years (most from rescue shelters) and have found these canine friends to be my greatest teachers. In 2000 I had the opportunity to try running my own dog training business. Twenty years of experience as a primary teacher has certainly been beneficial in running and managing group classes. 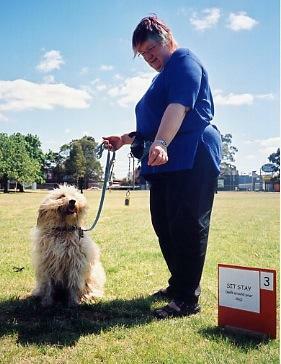 In the past I have worked closely with Delta Society of Australia as a lecturer at the CGC Instructors Course; writing and presenting seminars and most recently as co-author of the Delta Canine Good Citizen Lifetime Manners Manual. I have upgraded my instructors training to Certificate IV and attended many other seminars by leading trainers: Dr Ian Dunbar, Dr Patricia McConnell, Terry Ryan, Suzanne Clothier etc. I have an interest in Natural Therapies and have attended training in the use of Bach Flower Remedies, TTouch and Reiki. 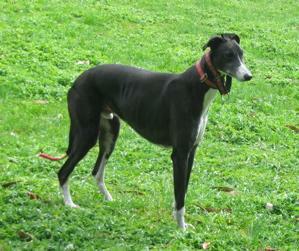 I have a particular interest in re-homed dogs and fearful dogs.